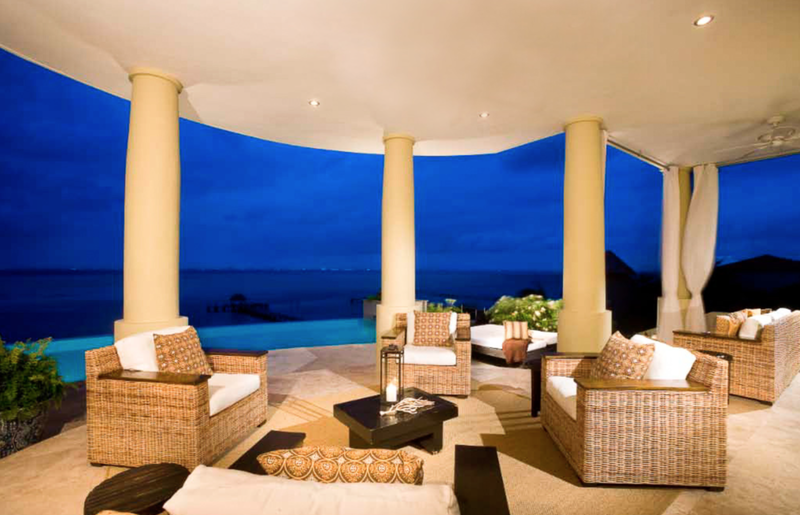 Vista de la Luz is an exquisite luxury villa perched on the south point cliffs of Isla Mujeres, Mexico. The villa overlooks the stunning emerald green and turquoise waters of Cancun Bay with spectacular panoramic ocean views from every vantage point. Vista de la Luz is an extraordinary new addition to Isla Mujeres and offers a full range of services in a private, tranquil setting. The decor delivers a rare blend of sophisticated elegance with a relaxed, modern flair. 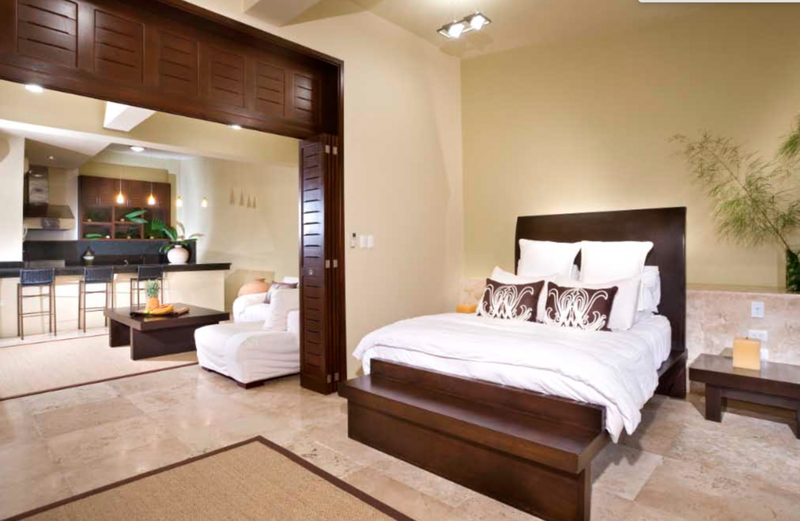 Oversized accommodations feature the highest quality linens, luxurious suspended Jacuzzis, and dramatic panoramic views of the ocean, the Cancun skyline and the Island of Isla Mujeres. You are welcomed into the villa by a large palapa, a sparkling glass entryway, and a breathtaking open-air living room with a soaring 40 foot ceiling. From here, you are greeted with an illuminated onyx bar and an alluring turquoise pool that seems to float over the beautiful Cancun Bay. All of the luxury suites have private terraces that open up to a stunning infinity swimming pool through floating glass doors, and the openness of the Villa creates a perfect harmony between the indoor and outdoor spaces. 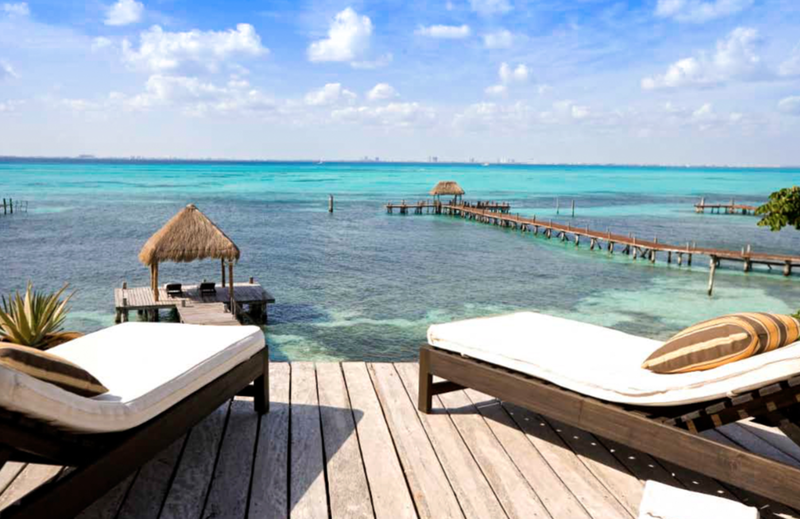 Carved stone steps descend from the terrace to the bay, with a private dock complete with its’ own relaxing palapa. 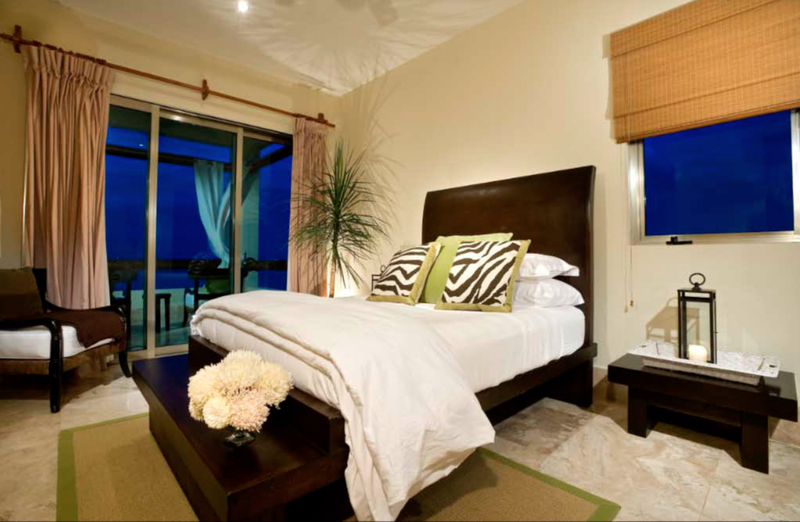 Vista de la Luz is truly one of Mexico’s most luxurious properties for the discerning traveler. *Rates are subject to change. Please contact us for current pricing and available discounts. Local sales and lodging tax of 19% applies.